Alexander Ji, Hubble Fellow at the Carnegie Observatories, leads a short tour of the early history of our Universe, offering intriguing glimpses of an epoch known as Cosmic Dawn, when the first stars and galaxies were born. 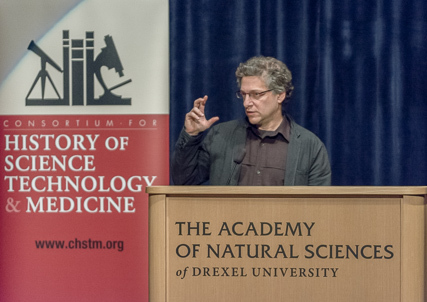 Peter Galison of Harvard University discussing his film, Containment, with the audience at the Academy of Natural Sciences. Philadelphia, April 2016.